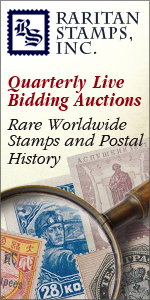 RGB 300 DPI 8.64x4.22 inches can be viewed and downloaded here. 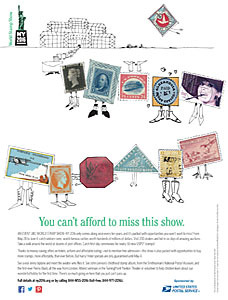 300 DPI 2 inches can be viewed and downloaded here. 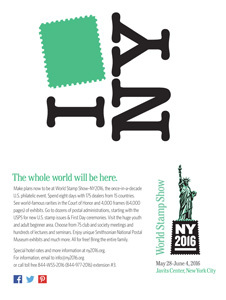 300 DPI 2 inches transparent can be viewed and downloaded here. 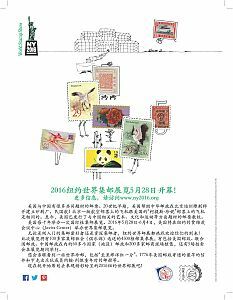 600 DPI tiff file logo can be downloaded here. 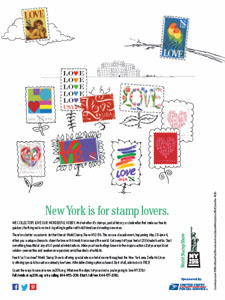 The base color is Pantone PMS 346, HEX #70CE9B, RGB 112-206-155. 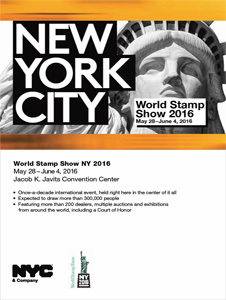 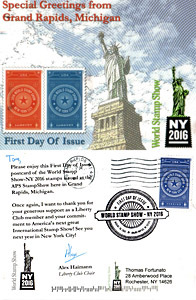 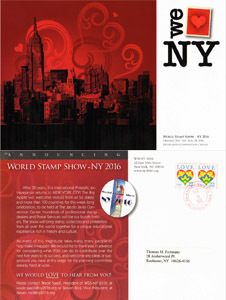 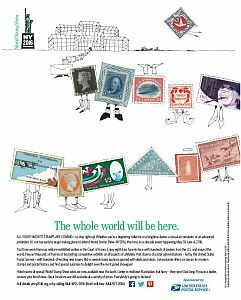 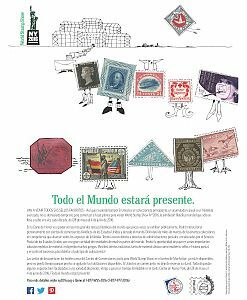 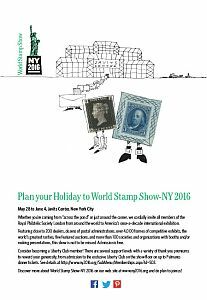 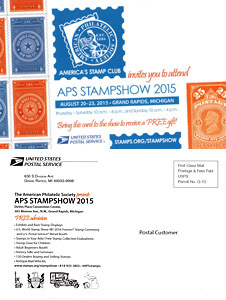 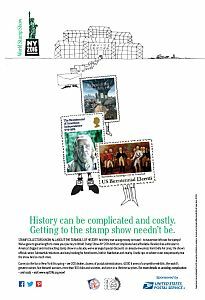 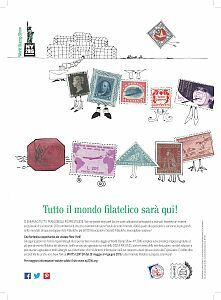 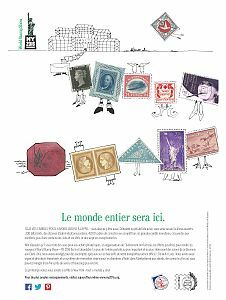 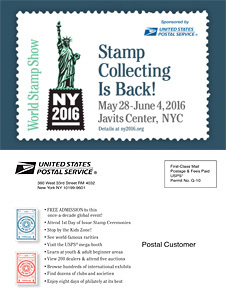 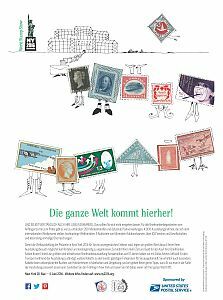 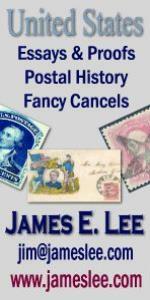 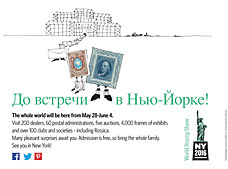 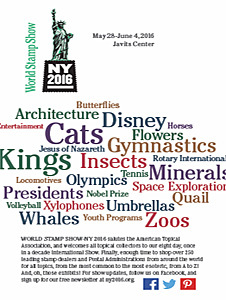 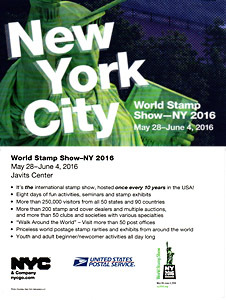 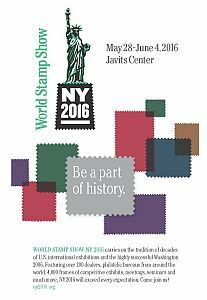 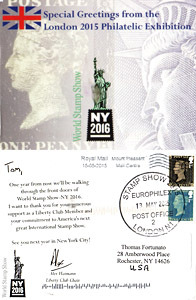 Following are advertisements for World Stamp Show-NY 2016. 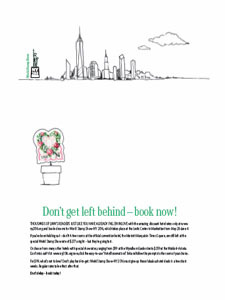 Click on any to read it. 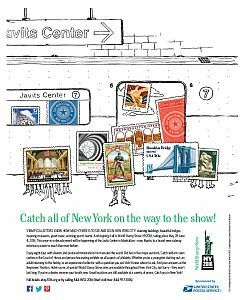 If you wish to run one or more of these ads in your journal or magazine, please contact our executive assistant at christine.jimenez@ny2016.org.